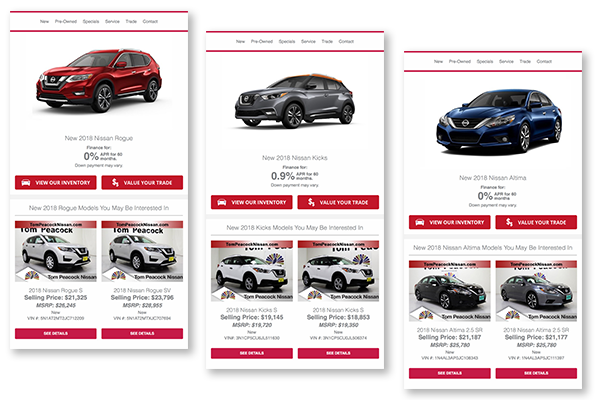 The 3 Birds Smart Sales Accelerator (SSA) is a dynamic, data-driven automated marketing solution designed to advance dealership vehicle sales objectives. 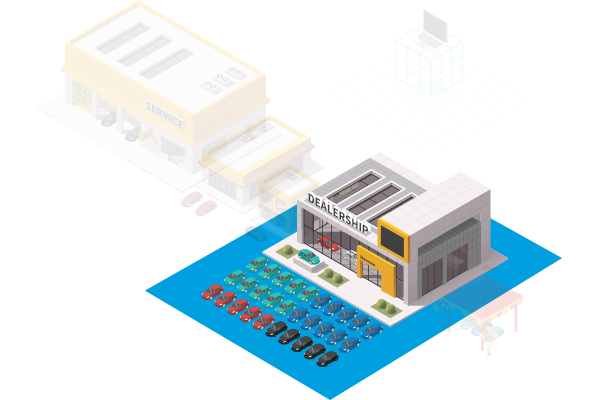 We use our data mining and modeling capabilities to identify contacts in the dealer's database who are in-market, likely to be in-market, or have the potential to be brought back into market if presented with appropriate options, incentives, and offers. The SSA consists of a series of messages sent to the identified targets that gauge interest, develop additional intent data, and dictate the increasingly relevant follow-up communications that lead the customer down the path to purchase. 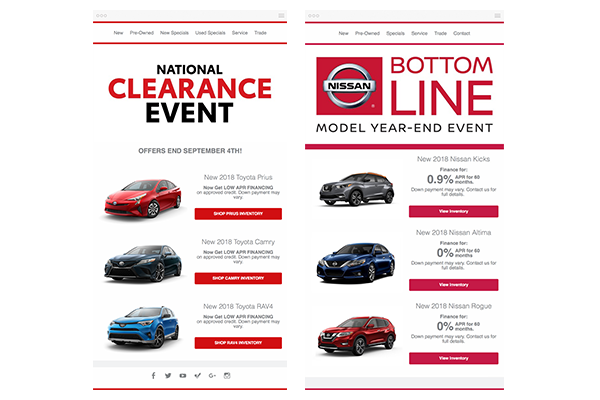 The SSA messaging series includes the following email communications with a supporting web presence: the Temperature Gauge, national manufacturer incentives, and offers model-specific follow-up messages with live dealership inventory, promotion of aging CPO/used inventory with live dealership inventory, and targeted trade-in solicitations. 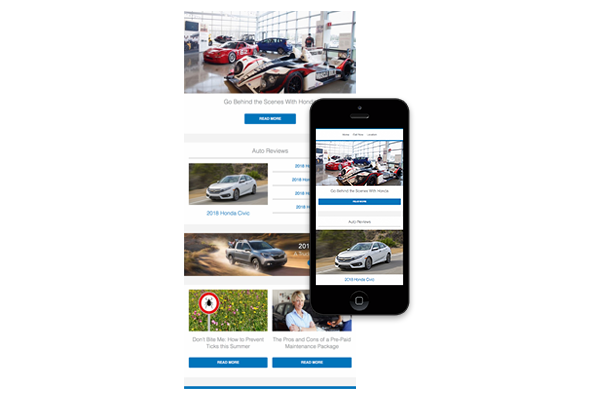 A mobile-ready, responsive automotive dealer email and engagement website is the perfect way to stay in front of customers from the time they purchase, throughout their vehicle’s service lifecycle, and leading up to the moment they’re ready to buy again. The best manufacturer incentives, offers and sales promotions are sent to the people our mining and modeling reveal to be most interested. 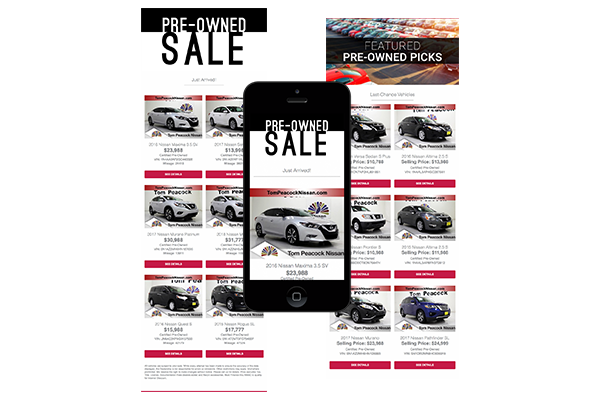 People demonstrating interest and intent in specific models are led down the path to purchase with follow-up communications that showcase the dealership’s live inventory of that model.